Tickets are flying for Time Lapse NYE. Limited tickets to this exclusive EDM New Year’s Eve event now remain from ticket ambassadors, outlets, and online! 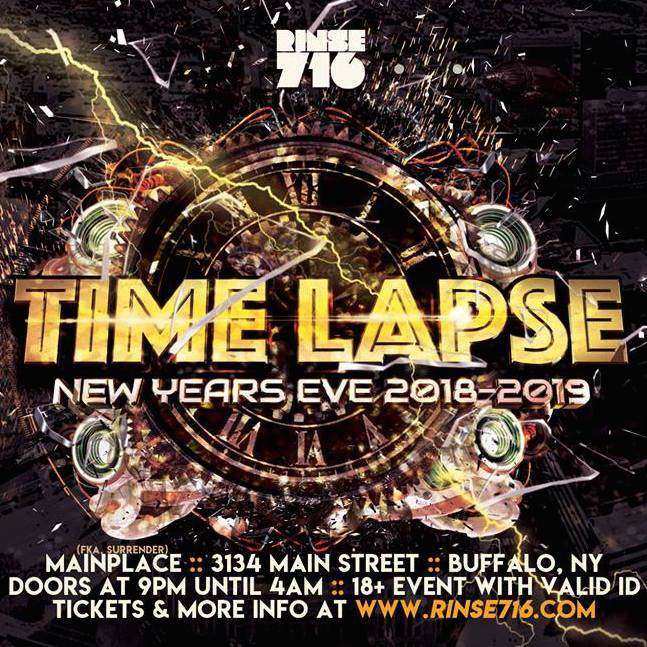 Buffalo’s annual EDM NYE event happens down the street from the city’s massive ball drop celebration and sells out each year it is hosted at MainPlace. Purchase tickets quickly to avoid disappointment! Outlets: Terrapin Station Buffalo, HeadSpace Gifts & Glass (All locations – Amherst, Buffalo, Hamburg), Earth House Center for the Arts. Online: BuffaloNYE.eventbrite.com.